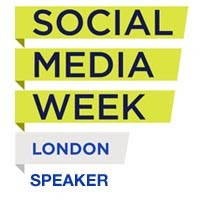 Cybher tickets have been sold out for over a week and there are 40+ people on the waiting list but thanks to the ever wonderful Lord Dodo one more lucky blogger will be joining us at the UKs first all inclusive female blogger conference on May12th in London. The prize includes a Cybher ticket, a newly launched 2012/2013 Dodo Acad-Pad Universal organiser (of the A4, loose-leaf variety) and £25 cash towards your travel. The new loose-leaf planner/diary fits the binder or your choice wherever in the world you are! 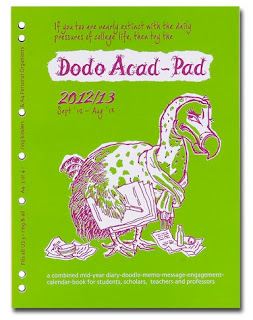 It's Dodo Pad's biggest Acad-Pad organizer ever - for students, scholars, teachers and professors or indeed anyone hooked into the college or academic year. Its five columns provide space for a detailed daily timetable of activity (or inactivity) and it's ‘indodispensible’ for logging other miscellaneous appointments whilst incorporating a specially designed Master Timetable to keep track of regular lessons, seminars or lectures. To enter all you need to do is tell me how many holes you will find in the new Universal Acad-Pad. You will find the answer over at Lord Dodo's Pad. Please enter using the Rafflecopter widget below. The giveaway closes at midnight (GMT) on Wednesday 2nd May 2012. Terms and conditions can be found here. The answer is seven holes, I know I counted as I added the organiser to my birthday wish list. Along with another calender as my old Dodo calender has run out. Have to say I love my Dodo pad I got from Cybermummy last year... just perfect for taking notes with its hard cover.